With the appearance of winters, we see many people coming up with different ideas to create ice sculptures. These ice sculptures are a result of creativity of many people that has resulted in making such beautiful use of ice. Being so unique and appealing, these sculptures attract everybody’s attention. Many festivals across the world takes place every year to display these stunning sculptures. Ice sculptures are quite famous around the world as they have make huge spaces n the hearts of many people. Here are some ice sculptures that are hard to believe, is made from ice, but actually are. 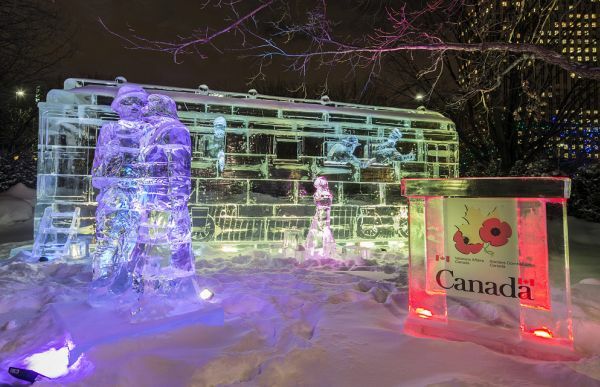 Located at Crystal Garden at Confederation Park in Downtown Ottawa, this beautiful ice sculpture is a tribute to the soldiers who died in First World War. Troop train represents soldiers departing from family and friends during war, saying goodbye to them. Being a tribute to the soldiers, it has made special place in the hearts of many people. 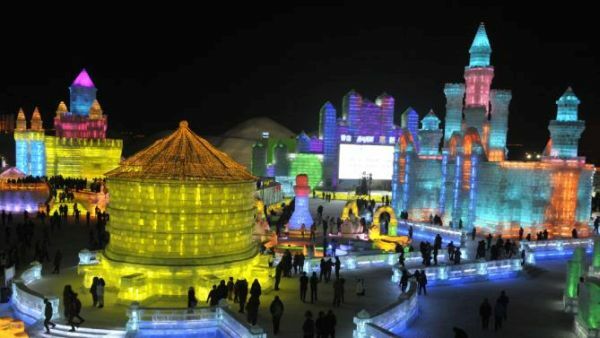 Unveiled at 31st International show of Ice and Snow festival at Harbin in China, city of ice attracted a large crowd. City of Ice looks almost like a fairy castle that glows even in the dark. It not only gives a glowing effect, but also has different colors that make it look wonderful. This perfect blend of glow and colors not only attracted people at day, but at night as well. 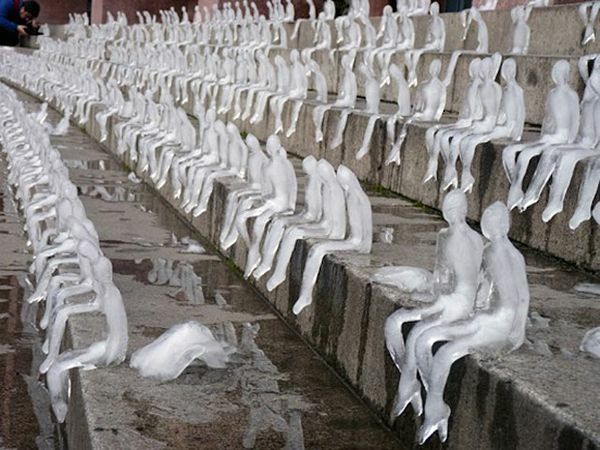 This huge army of melting men looks so real and amazing when placed on the streets of Brazil. Designed by a Brazilian artist, simple technique has been used in its making. Just freezing water in the mould, little shaping, and melting men are ready. That is all this artist does before shipping them to the destination. As soon as it reaches the streets of Brazil, it catches the eye of people around. Keeping in mind its placing, the artist has chosen the public places or the common streets to make it more appealing to the public eye. Furthermore, watching melting army is a different experience in itself. Many things can be used in a variety of ways and aesthetics. Ice is not something that just suits a glass of whiskey, but many amazing things are there to create out of it. Ice can take amazing shapes; it is just the creativity and will to do something that is required. Amazing ‘clock of 9s’ for math zealots!